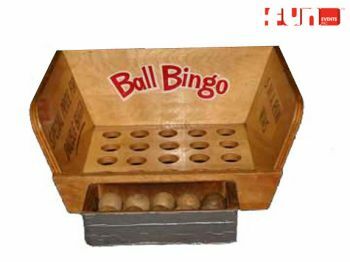 Your guest tosses ten balls into the bingo tub. Make five in a row and win an exciting prize. Make ten in a row and win a special prize. (for older kids) A fun game rental party idea for birthday parties, church festivals, school carnivals, company picnics or any special event.